Food Portion Control – Do you know how little food it can take to actually satisfy the average man or woman in one sitting? Notice the term “satisfy” and not stuffed. Often the problem is that people do not take the time to allow the brain to register satiety. Obviously, the more food you eat, the more calories you take in. 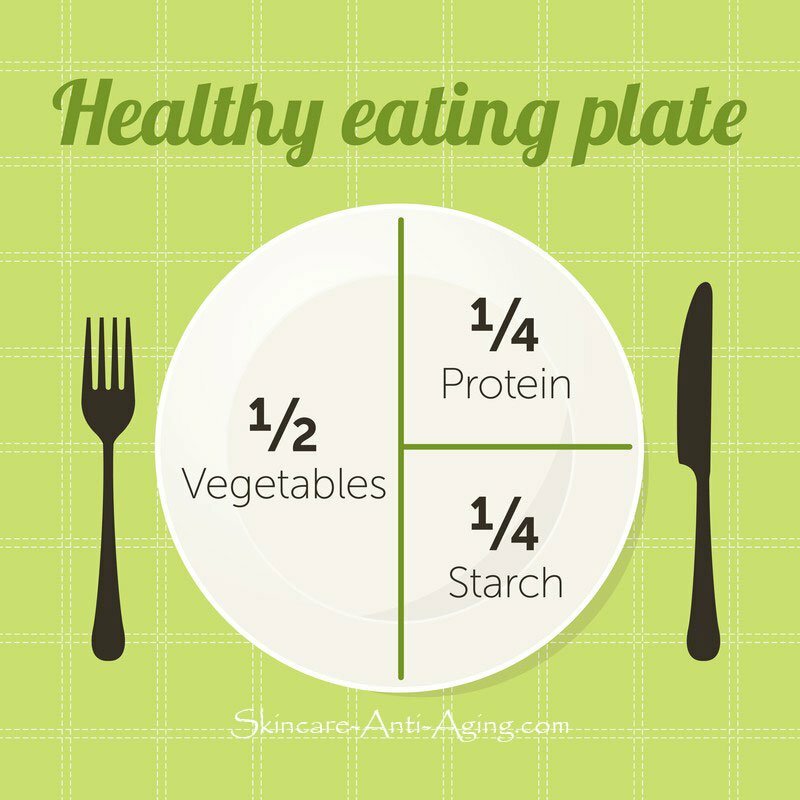 Portion control is necessary for healthy eating and permanent weight loss. In general, we eat more food than we actually need without even knowing it. Take a restaurant plate for example, typically the portions they serve equal 4 or 5 times what any person should actually eat in one sitting. The average human stomach can hold about 4 liters of volume, but satiety is not felt by the mind as a result of the stomach being full. Instead, it is registered by the brain as a reaction to chemicals released when you put food or drink in your stomach, a process that takes place in the hypothalamus and takes about 15 to 20 minutes to complete. It takes around 20 minutes for you to feel full after a meal. With portion control, you may feel a bit hungry at first. However, you may be surprised to learn that after 20 minutes, you are actually very full and from a very small amount of food! Use the food portion control tips below to plan your meals easily using your hands alone.